RON SWARNER: As with some many good things in this world, simplicity is the key to Pilsner’s success. Lightly kilned malted barley, spicy Noble Saaz hops that so define the aroma and flavor of this style, lager yeast, and soft water are all that’s needed for the skilled brewer to produce a fine pilsner. These ingredients combine for a clean, simple beer. 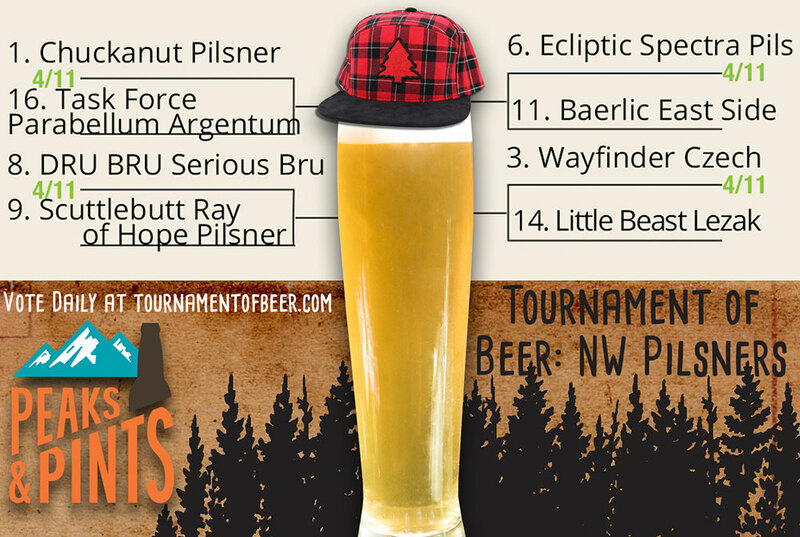 Welcome to day five of the Tournament of Beers, featuring 64 Northwest brewed pilsners competing in the mother of all pilsner brackets. PEAKS AND PINTS WEATHER GUY: My forecast calls for light snow from base to summit at White Pass Ski Resort, which runs daily through April 14. Steeps are good and the groomers are good up high. It’s soft below 5,000-feet. Lost $25 to bartenders. Accu-Radar shaped like the devil. Acne: 100 percent chance. RON SWARNER: Stop eating so much fried foods. Below is a recap of yesterday’s action followed by eight new pilsners hitting the court today. PEAKS AND PINTS WEATHER GUY: I love vegetarian wiener schnitzel. RON SWARNER: At halftime, Cloudburst’s Happy Little Clouds pilsner had a five point lead over Lowercase Brewing’s Italian pILSNER. The brewery on the edge of Pike Place Market released Not Fast Enough DIPA. Someone delivered biscuits from the Market. Life was good. Then, the work bell rang and the Port of Seattle decided not to head home for supper, but rather point their cars toward Lowercase Brewing. Maybe it was Lowercase’s new Mr. Vodder’s Spicy Chex Mix. Or, more likely, their Italian pILSNER with unique floral undertones and multiple dry-hop additions. Whatever the reason, Lowercase pushed it, and the votes poured in. At the final buzzer, with 56 percent of the votes, Lowercase’s Italian pILSNER had a clear path to the Second Round. PEAKS AND PINTS WEATHER GUY: cONGRATULATIONS lOWERCASE! RON SWARNER: Holy Mountain Brewing released cans of their Three Fates pilsner at the end of March. It was the talk of Western Washington. Tournament of Beer analysts had the pilsner reaching the Final Four. In fact, Three Fates had a commanding lead at 3 p.m. yesterday. Then, Maritime Pacific Brewing owner George Hancock dropped by Peaks and Pints. He studied the giant tournament bracket on top of our cooler. He measured things. He even plopped a level on top of our bar. He made a phone call (old school). We don’t know whom he called, but the Peaks and Pints vote counting machine started smoking. A lot. Portage Bay Pilsner razzed everyone’s berries, as George says. 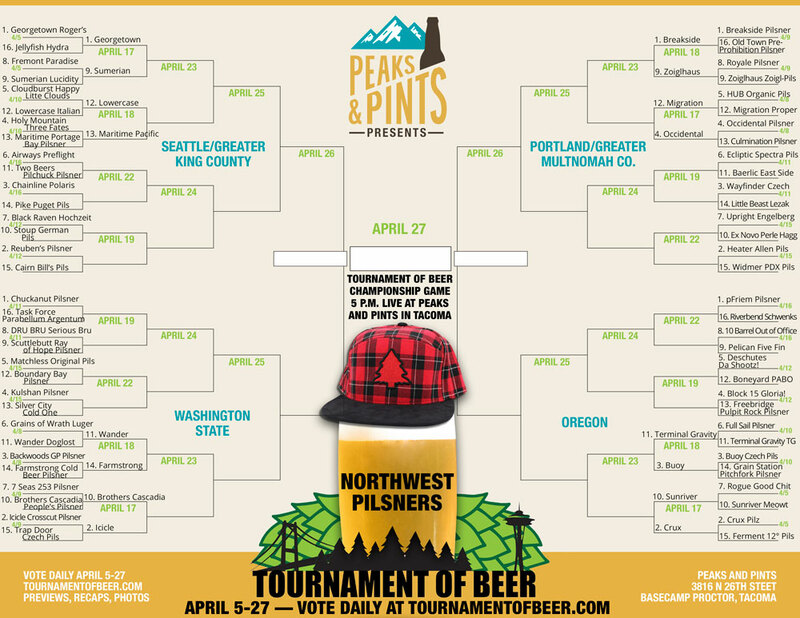 At the final buzzer, Portage Bay Pilsner walked away with 68 percent of the votes, and a nomination for greatest comeback ever in Tournament of Beer history. PEAKS AND PINTS WEATHER GUY: I love George. RON SWARNER: Wallowa is Oregon’s most northeastern county, bordered by Washington and Idaho. Though I’ve never been there, my understanding is that it’s quite beautiful territory, home to the Hell’s Canyon National Recreation Area. Beer-wise, it’s home to Terminal Gravity Brewing. I know this because everyone who has visited the facility raves about their brews. They opened in 1996, but until 2006 produced only kegs. In yesterday’s closest battle, TG Pilz nudged Full Sail’s Pilsner out of the tournament with 54 percent of the votes. TG Pilsner has a slight spicy bitterness that’s refreshing without being overwhelming, offering drinkability on the river, mountain, or porch, as they do in Wallowa County. PEAKS AND PINTS WEATHER GUY: Pleaz bring in cans of the Pilz. 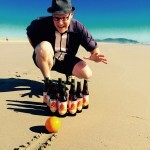 RON SWARNER: One hundred miles separates Buoy Beer in Astoria with Grain Station Brew Works in McMinnville, via Highway 26 and 47. I kid you not, but Buoy’s Czech Pilsner beat Grain Station’s Pitchfork Pilsner by 100 votes. Four hundred and 13 miles separates Buoy Beer with its Second Round opponent Terminal Gravity out in Enterprise, Eastern Oregon. Stay tuned. PEAKS AND PINTS WEATHER GUY: But I would walk 100 miles. And I would walk 100 more. Just to be the weatherman who walks a 200 miles to fall down at your brewery door. OK, let’s do a quick liver-size check, then dive into today’s First Round pilsner battles. Vote for one pilsner per game (one IP address will be counted). 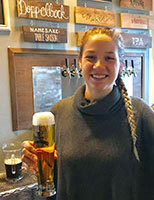 Voting for today’s pilsner battles ends at 11:45 p.m.
Chuckanut bartender Jordan has a pilsner for you. RON SWARNER: In the early 1980s, chemical engineer and homebrewer Will Kemper paid a visit to the brewmaster of the now-defunct Rainier Brewery in Seattle where he was told he couldn’t open a brewery because he wasn’t born into it. Good one. In 1984, Kemper, his wife, Mari, and Andy Thomas opened Thomas Kemper Brewery in Poulsbo, Washington. In 1992, Thomas Kemper merged with Hart Brewing, which went on to be Pyramid Breweries. The Kempers saw the ugly side of the business and became consultants with East Coast and international breweries. After a bunch of traveling, they moved back to Bellingham where they opened Chuckanut Brewery in 2008 — a convergence of technical and engineering concepts developed from more than two decades of professional involvement with craft brewing both home and abroad. 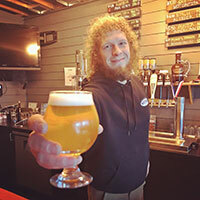 They hired Josh Pfriem as their head brewer, who went on to open pFriem Family Brewers in Hood Rover, Oregon. Following their passion for German pilsners, the Kempers brewed their own golden, vivid, crisp version with Pilsner malt and secret noble hops. They transferred their multiple award-winning pilsner production from their Bellingham brewery to their 40-barrel production facility in Mount Vernon. PEAKS AND PINTS WEATHER GUY: Mari is cool. She wouldn’t have thrown away my comic book collection last night. RON SWARNER: There is nothing better than kicking back on a Saturday afternoon with sandwiches, swapping war stories with friend, and knocking back a couple craft brews. But what if, when you separated from the military, you could make beer for a living? Chief Warrant Officer 4 Jon Alexander and Col. Colin Miller did. Thirty years ago, the duo brainstormed a craft beer brewery while serving with the 2nd Battalion, 160th Special Operations Aviation Regiment (Airborne). The idea of starting a brewery after they were done with their Army careers appealed to the two beer lovers. 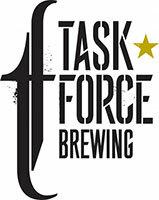 In 2017, they opened Task Force Brewing in Lakewood with Jim Leise, who separated from the Army as a captain in 1992. They have been brewing at Wingman Brewers in Tacoma while they build their own brewery in Lakewood, which should open this year. 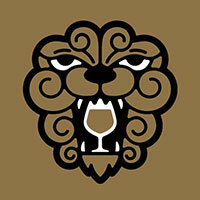 Their Parabellum Argentum pilsner is brewed with Weyermann Pilsner malt and hopped with Magnum, Saphir and Aramis malts. It’s dry and crisp, with floral and spice notes. PEAKS AND PINTS WEATHER GUY: Those Wingman guys help everyone. Maybe they can help me. My “Add-a-penny, Take-a-penny” business model isn’t taking off like I hoped. 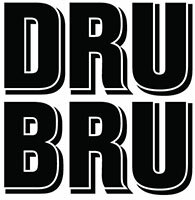 RON SWARNER: Dru Ernst, his wife and several partners opened DRU BRU Tap Room & Brewery in December 2014 with the intent to brew European-influenced craft beer lower in alcohol content, which makes sense since he brews on a mountain pass surrounded by outdoor activities. His love for German beer arose after spending a summer in the country with his former exchange student. His love for brewing arose after discovering a friend’s homebrewing hobby. Ernst, a civil engineer grad from Gonzaga, homebrewed for 10 years before trading in traffic circles for a 15-barrel steam-fired brewhouse. Dru Bru’s 2017 Washington Beer Awards bronze medalist Bohemian pilsner, Serious Bru, is crafted with unfiltered Snoqualmie Pass mountain water, Bohemian Pilsner malts and Czech Saaz hops to put forth a complex maltiness with a soft bitterness. PEAKS AND PINTS WEATHER GUY: I bet the brewery has an amazing vu. Scuttlebutt Head Brewer Eric Nord presents his Ray of Hope Pilsner. RON SWARNER: Phil Bannan Sr. and his family founded Scuttlebutt Brewing in 1996. Family, indeed. The family business, which today employs about 75 people, started with a homebrewing kit Bannan’s wife, Cynthia, bought him on Father’s Day in 1990. Cynthia eventually kicked him out of the kitchen and into a facility at the Port of Everett. They decided to name their brewery “Scuttlebutt” after Cynthia’s nickname bestowed upon by her father after her impending birth became the scuttlebutt of Naval Station Norfolk where he worked. Phil Bannan Jr. is the brewery’s general manager, and he and his wife, Mindy, designed the taproom inside the production brewery in downtown Everett. Although Eric Nord, Scuttlebutt’s head brewer, brings 15 years of brewing experience to the table, seven of which are with Scuttlebutt. Assistant brewer and Coast Guard Reservist Adam Chittick designed the recipe for the German-style pilsner Ray of Hope, which includes Canadian Pilsner malt for a light, clean malty aroma and flavor, and Hallertau hops balancing out with a subtle bitterness and slightly earthy and spicy finish. PEAKS AND PINTS WEATHER GUY: The scuttlebutt was that Egyptian Stella was fortified with a dose of formaldehyde to prevent spoilage — a mummified beer in the land of the pyramids. 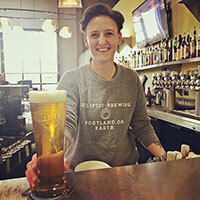 Ecliptic bartender Kayla presents her Spectra Hoppy Pilsner. RON SWARNER: John Harris’ background in one steeped in Oregon’s rich craft brewing history. After beginning as a brewer at McMenamins’ breweries, he moved to Deschutes where he created the recipes for Mirror Pond, Black Butte Porter, Jubelale and Obsidian Stout. He spent the next 20 years of his career as a brewmaster at Full Sail in charge of creating the Brewmaster Reserve line of beers. In 2013, Harris founded Ecliptic Brewing purchasing the brewhouse from friend and Dogfish Head founder Sam Calagione. So how did Harris come up with the name Ecliptic Brewing? His hobby is astronomy. He wanted to incorporate this passion of his into his career and give his new brewery a feel of the celestial. His beers are also of the space nature, including his pilsner. Previously known as Spica Pilsner, Spectra Hoppy Pilsner (a plural of spectrum) casts an array of spicy and herbal hop flavors and aromas from Sterling and Mandarina Bavaria hops. Brewed in the unfiltered kellerbier style, pale malt works with the yeast left in the beer to create a crisp and hoppy lager. PEAKS AND PINTS WEATHER GUY: Does Harris wear space pants? RON SWARNER: Bike mechanic and hobby brewer Rik Hall opened Baerlic Brewing Co. with Ben Parson in 2012 on Portland’s Eastside. Five years later they were named Best Small Brewery in Oregon at the Oregon Brewers Awards. Hall and Parson describe their beers as post-style, meaning they don’t lock themselves into a beer style, as proven with their Eastside Oatmeal Pilsner. Traditionalists would curse Baerlic’s addition of raw oats to this style of beer, but they just love the texture it adds. And it pairs nicely with the spicy and fruity flavors and aromas of Czech Saaz and Santiam hops. 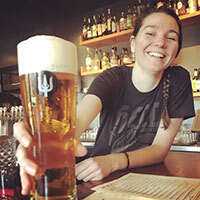 Wayfinder bartender Sophia has a Czech Pils with your name on it. RON SWARNER: In fall 2016, three of Portland’s most respected food and drink professionals opened Wayfinder Beer in a former Central Eastside Industrial District warehouse. Charlie Devereux, the co-founder of Double Mountain Brewery; Rodney Muirhead, the barbecue master at Northeast Portland’s Podnah’s Pit; and Matt Jacobson, the force behind late-night pizza sensation Sizzle Pie and hard-charging rock label Relapse Records, opened the brick-walled beer hall with a 10-barrel brewing system. Head brewer Kevin Davey brought his experience at Chuckanut Brewery, Firestone Walker and Gordon Biersch, where he took home a 2014 Great American Beer Festival gold medal for his Munich-style Helles. Their Czech Pilsner is decocted, meaning part of the mash is removed, boiled, and returned it to the main mash, which makes the wort more gentle and fresh, with brighter color, rich flavor, somewhat scratchy malt, sharp bitterness in mid palate, a dollop of butter, and a touch of sweet fruit. PEAKS AND PINTS WEATHER GUY: Seems appropriate to add archer Hawkeye to the bunch. RON SWARNER: Two years before Little Beast Brewing opened, co-founder Charles Porter was brewing at Logsdon Farmhouse Ales in Hood River. The histories state such a fact, but I met Porter in April 2015 while on a tour with the Craft Brewers Conference held down the highway in Portland. Porter, along with Dave Logsdon, showed us the archaic but highly functional brewing systems Logsdon used to craft their famous wild ales. Porter left Logsdon and opened Little Beast Brewing with his business and life partner Brenda Crow, a cheesemaker, in April 1017. Their Lezak Czech-style pilsner is brewed with Matchless Brewing in Tumwater, another brewery with a pilsner in this tournament. Lezak uses Bohemian floor malted barley decoction mashed to bolster malt character. Czech grown Saaz hops and a special yeast strain brought directly from Prague seal the deal. LINK: Hot Damn! Yes, I want to follow Peaks and Pints Weather Guy on Twitter!